The Third Squad reports the arrest of a woman on Monday May 12, 2014 at 5:55 p.m. for Burglary in Williston Park. Williston Park, NY - May 13th, 2014 - The Third Squad reports the arrest of a woman on Monday May 12, 2014 at 5:55 p.m. for Burglary in Williston Park. According to detectives, the defendant Erin Arcese, 38 of 33 Cushing Avenue entered a home on Cushing Avenue through an unlocked door and removed approximately 45 prescription pills from a cabinet on two occasions between April 9, 2014 and May12, 2014. Arcese is charged with two counts of Burglary 2nd degree. She will be arraigned on Tuesday, May 13, 2014 at First District Court in Hempstead. 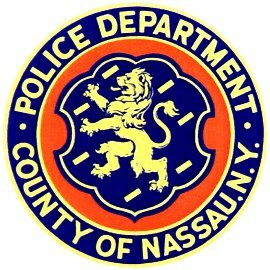 Subject: LongIsland.com - Your Name sent you Article details of "Williston Park Woman Arrested for Stealing Neighbor's Prescription Pills"